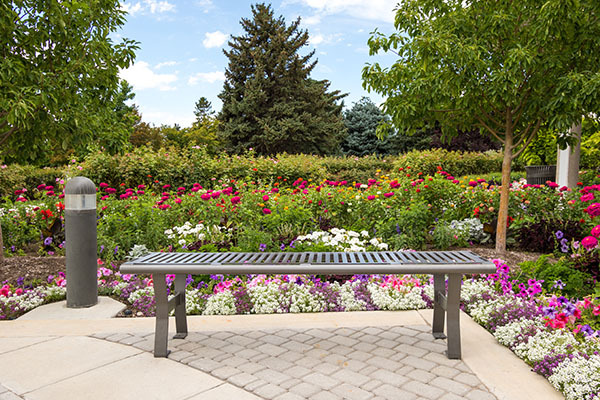 Looking for a beautiful addition to your park or business front? 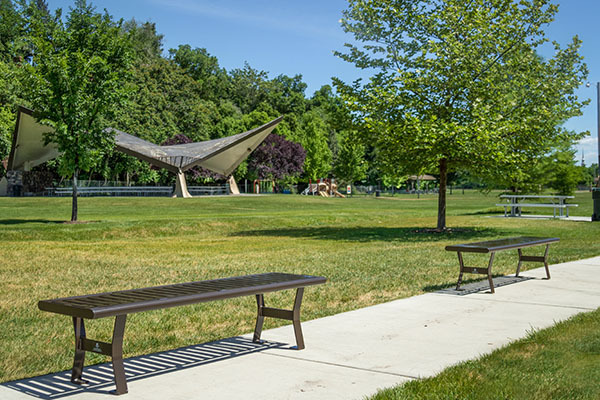 The Classic Bench No Back offers a variety of color options and sizes, making it a perfect incorporation to any location. 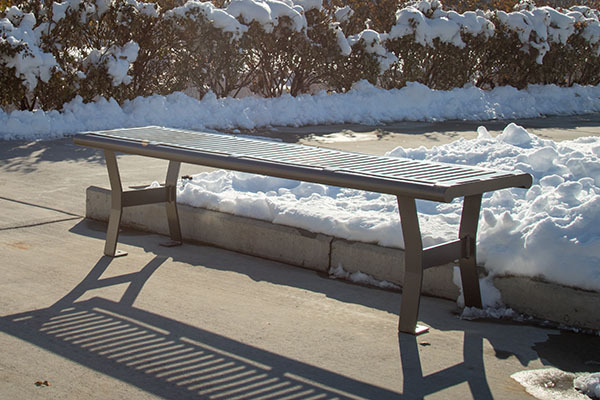 Each bench is designed for maximum durability, while protecting the bare metal from harsh weather conditions. To get started with your order, click below, or give us a call at (801) 414-1724. 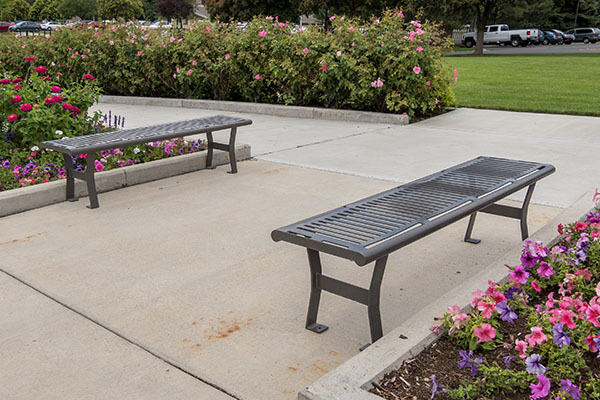 Choose between three bench sizes: 4′, 6′, and 8′. Created from a single sheet of metal with fully closed welds. Powder coat is applied to provide a weatherproof finish. Choose our standard slat design or custom artistry and logos. The slat design is most commonly used on the bench. We also offer a contemporary vine design and personalized inscriptions, logos, and more. 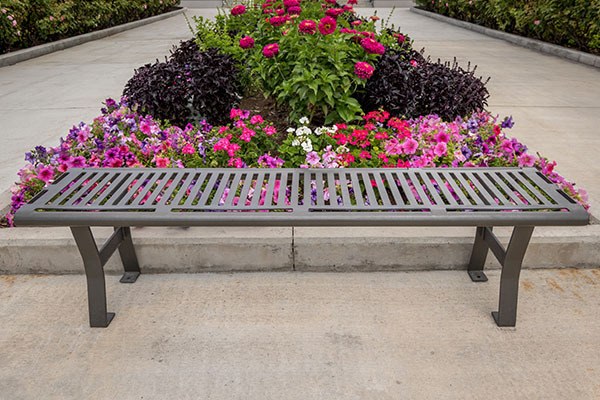 A powder coat finish is applied to the bench to create a smooth, durable finish. The powder coat holds up against daily use and prolonged weather exposure. Our many color options are available here.